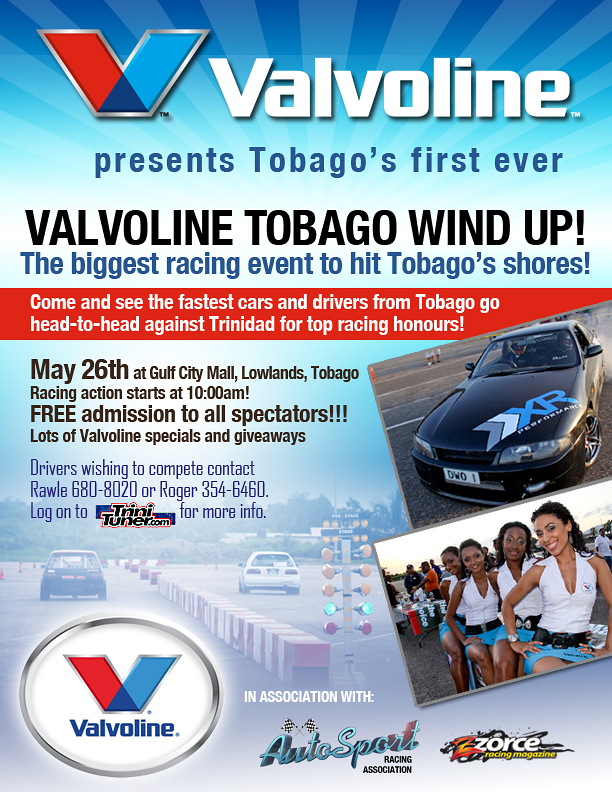 Valvoline Tobago Wind Up! This is carded for 26th May… in Tobago obviously. staging this, our first venture into Tobago. and wind and wind…! 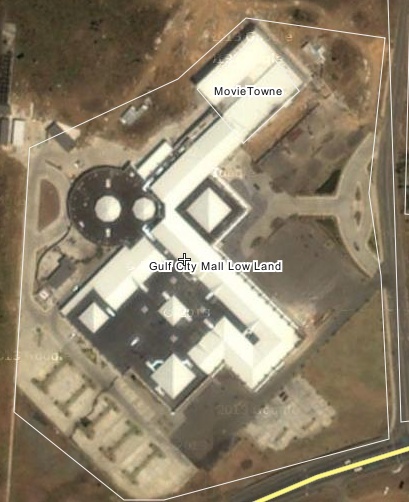 The Location will be the Gulf City Mall Car Park. will NOT be a Championship Event. should travel either on the Friday 24th or Saturday 25th May. feedback on those who shall be participating in this Event. Briefing on Saturday (25th) Night at Gulf City Food Court – 7:00pm. some last-minute tuning or adjustments to be made on their car. There will be an Award for the best Tobago competitor. Last edited by AutoSport on May 13th, 2013, 10:28 pm, edited 1 time in total. Re: Valvoline Tobago Wind Up! event at our briefing meeting on Wednesday 15th for D&W#4 at MOSPORTT. We shall also collect payments for Tents for Tobago on Wednesday 15th at D&W#4 briefing meeting. I feel i missed the cost of entry. What is it? Valvoline Tobago Wind Up! Entry fee same $150.00, Tents $400.00 which should be shared because of limited space. wagonrunner wrote: I feel i missed the cost of entry. What is it? excellent that's saturday covered, and two quickshops so we should be good for the rest of the weekend. X2, Fixables and Red Dawg coming too, so we may need to ask the Quick Shops to open later than usual.......... and to stock up a bit more!! saturday 6.30a and monday 6.30a are my sailings. if yuh allyuh able, we could start on both ports. Hmm...........Karl, dare I bring the grey plastic car? or should I bring Small-foots? small foots will have me driving with my toes again. that's just not comfortable. methinks you're unaware of this works. the criteria for ole farting is farting out their ego to the point it become a shart. in public. this eh that kinda website pal. but what about the bago weekend? Yeah about the Tobago wind up, I have permission for that......but I might have to work. So the wife tell yuh that too! May I now sincerely hope that we can sanitize this discussion by trying to get AXE, a Tuner sponsor, to provide some refreshing aroma so that all and sundry can start to breathe some fresh scents into our original intent of this thread....... Valvoline Tobago Wind Up! 2013. And for those still thinking of sending their car... we are advised that there is now limited space on the fast ferry... and the Port not taking on no breakout time if yuh reach late! Last edited by AutoSport on May 15th, 2013, 11:10 pm, edited 1 time in total. MD, when you heading across? Will helmets be available? and at what cost to rent? MISHI wrote: Will helmets be available? and at what cost to rent? I want to beg yuh for the use of that actually, but i won't monopolize it. elaborate on the layout nah, please...how tight is it? 3rd gear anywhere on it? it'll be nice to be slightly prepared for what's there. Six Helmets will be available on the day. I will not permit any body who jinkin rum or otherwise to drive in 701! yuh buying on both nights right? 3rd gear a man say?